How Do I Choose A Pad? How Do I Care For My Mattress Pad? 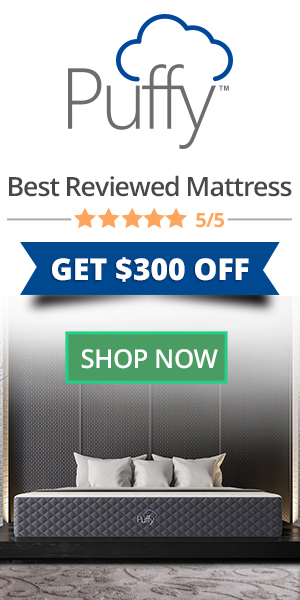 Mattress pads can revitalize a tired mattress or help customize your mattress experience os you get the best night of sleep possible. Whether you’re trying to help your older mattress along or further customizing a brand new one, we’ve got a list of our top picks for best mattress pads to help you figure out what you need. Mattress pads accomplish a variety of tasks. If your mattress is getting older, a pad can help reboot the surface, hiding smaller imperfections and improving contouring until you’re ready to upgrade to a new bed. If you’ve just upgraded, a mattress pad can help protect the surface of your new mattress, locking out moisture or oils from the body, preventing a buildup of skin cells and other allergens, and keep the mattress surface fresher for longer. High tech mattress pads can help you track your sleep habits and things like resting heart rate to help you make more informed decisions about your sleep habits. They contain sensors embedded in the pad that track your sleep and restless times, heart rate and a host of other metrics designed to help you sleep better. There are a few different things to consider as you make your choice. Deciding what you want for a few different categories can help narrow things down a lot. What are you hoping to accomplish with your mattress pad? That helps narrow the categories down a lot. If you need to revamp a tired mattress, you’ll need to look for something with proper padding. A contouring pad helps ease your body to a bed that’s lost padding and relieve pressure points. Other functions could be protecting a new mattress. In that case, a waterproof pad helps prevent staining from spills and keeps body oils from seeping through the sheet onto the surface of the mattress itself. This could be critical if you end up with children or pets in the bed with you. You may want to turn a too firm bed into something a little softer without replacing the mattress entirely, or the other way around, create more targeted support for a bed that’s too soft. You could be looking to turn your bed into a smart bed to figure out why you’re not sleeping at night. You may need a pad that helps trap heat to keep you warmer if your room tends to get too cold. Other types of pads help wick away heat and moisture to keep you cooler and relieve night sweating. Whatever you need, identify the real purpose of using a mattress pad. Many people think of memory foam or latex pads, but that isn’t the only material available. Memory foam and latex do help create a more comfortable sleep for those who need to soften their beds and help with contouring, but other materials help with different things as well. Down and down alternative help warm up the surface of a bed without creating too much heat thanks to a high loft. Wool is the opposite, providing a cooling surface that’s usually organic and contains no off-gassing or chemicals. Waterproof pads need to have a think layer of polyurethane or other material that isn’t plastic. Plastic pads make a lot of noise and will keep you awake at night while thin layers of polyurethane or additional waterproof material help create a moisture barrier without the sound or feel of plastic. High tech pads are super pricey, but you aren’t hemmed in entirely by price. There are plenty of affordable alternatives to higher end pads that should work great for basic protection and comfort. IF you’re planning to upgrade your mattress soon, you may not want to sink a bunch of money into a pad before you know what type of bed you’re going to get. We believe strongly that spending money on your health and wellbeing is a valid expenditure. Higher end pads often last longer and provide more benefits both for protecting your mattress and helping create better comfort and pressure relief. You’ll probably get what you pay for with a cheap pad because the contouring is likely to collapse sooner than a more expensive (and better made) pad. The price of high tech pads could pay off in the long run if you begin to get better sleep as a result. If you aren’t spending as much on coffee to keep awake and doctors visits to figure out what’s wrong, a high tech mattress pad could be well worth the price. Customizing the feeling of your bed and helping protect the mattress itself are two excellent reasons to get a pad to go with your mattress. A pad reinvigorates a mattress that you aren’t ready to upgrade yet, helping you save money without sacrificing your sleep. A pad also protects a mattress. Most mattresses can handle a bit of use, especially memory foam and latex which are naturally hypoallergenic. However, as you sleep on your bed, oils and skin from your body gradually make their way to the surface. With a mattress pad, you can wash it and put it back on to sleep on a completely clean surface. A pad can’t fix a truly terrible mattress. If you’ve completely lost all support, a pad isn’t going to make your bed feel any better. It’s not magic. It can help with minor problems, but overall, a mattress that needs to be replaced can’t be improved with a pad. If you’ve upgraded your mattress to something fancy like a cooling top, a pad could interfere with the performance of the bed. Be careful the type of pad you get because it could make it difficult for your mattress to accomplish the purpose you invested in. They can be difficult to clean if you don’t have one that can be machine washed. Down and wool need special care, so be sure you know what you’re getting into when you get these. The cleaning concerns will have to be handled through a dry cleaner or another cleaning system. Otherwise, you’re just storing grime in your pad. Speaking of care, most mattress pads are machine washable for easy cleaning and maintenance. You should always put a pad underneath your bottom sheet to act as a barrier and to keep it from sliding around on the mattress. If you notice the pad has shifted during the night, make sure you fix it so that it doesn’t get strange creases in spots that affect its effectiveness. If your pad can’t be cleaned in your machine, make sure you make plans to have it cleaned regularly. We recommend at least once a quarter to prevent build-up that can cause allergies or other adverse reactions. Our favorite mattress pads offer plenty of functionality, helping make your bed more comfortable and protecting your mattress overall. Let’s take a look. Our first pad is an offering from Puffy, a mattress company we love that creates excellent accessories designed to work with their mattresses or enhance the one you’ve got. Their mattress pad comes in six different sizes and creates the perfect amount of puffiness to go with any bed. It’s OEKO-TEX certified, so there’s no off-gassing or other chemical smells. The cover is a soft, 100% cotton that’s highly breathable and helps keep you cool during the night combined with the loft of the interior padding. The interior features a hypoallergenic fiber polyester that’s the right amount of squishy without adding the heat of memory foam. It uses durable, elastic pockets that can accommodate mattresses up to 15 inches deep. The seaming is well done and shouldn’t show any wear and tear even after washing. It ships free and comes with the same 101-night sleep trial Puffy gives to all its products. Give the pad at least a few weeks to see if it’s going to be the one you like, but you can always initiate a return if it isn’t going to work out. The pad isn’t waterproof, but it will form a layer between you and your mattress, helping extend the life of your mattress through basic protection. Saatva’s organic pattern uses a diamond seaming to increase loft and help with air flow. It has nice padding that’s not quite as plush as the Puffy, but still very comfortable. It’s a nice addition to mattresses that are slightly too firm and need just a bit of extra pillow top. The Saatva is certified organic with a cotton fill and cotton cover. Cotton can wear down more easily over time, but it’s machine washable until then. It’s a significant savings over the Puffy, but you may not get quite the pillowy life out of it. The sides are a performance fit, using a cotton and spandex blend to stretch more efficiently without losing shape. Silicone elastic banding helps keep the pad in place even when you’re tossing and turning. It accommodates mattresses up to 16 inches thick. It uses GOTS certification to show a quality product with no off-gassing or chemical smell. It ships free, and you can try the product for 45 days before deciding if it’s the right one for you. If it isn’t going to work out, just return it before your 45 day trial period is up. Utopia Bedding’s Pad is an affordable alternative when you need something to cover your mattress temporarily or if you need a backup. It offers good padding and mild mattress protection with a fiberfill and a low loft. It’s soft and machine washable. It features a deep pocket that accommodates mattresses up to 16 inches and uses an elastic all around to ensure it stays put even if you toss and turn. The backing material grips the bed as well, ensuring placement remains secure. It uses a quilted design to prevent the fill from lumping together over time. IT’s a polyester material fill that won’t lose loft, but it may have a slight smell because it comes wrapped in plastic. It isn’t waterproof, and it isn’t made from organic materials, but at less than $30, it definitely gets the job done if you need a basic pad to protect your mattress from basic allergens and body oils. Lucid’s memory foam pad not only helps protect your mattress but provides a cooling layer between you and your mattress. If you love the feeling of your bed, but just get way too hot at night, this could be the right choice for you. It uses gel infused memory foam to create a contouring layer that efficiently wicks away heat and moisture away from your body. The gel traps heat and conducts it through the pad so that it can dissipate away from your body. Targeted zones give you more support where you need it and give way under your broadest points to help discourage tossing and turning. The less you move, the less likely you’ll heat yourself up and wake up. In the long run, it has the potential to help you sleep better overall. It’s not waterproof, but it does put a protective layer between you and your mattress surface. It will need to be spot cleaned only and cannot be machine washed or dry cleaned. Its primary purpose is temperature control, however, so use a protective cover if it bothers you not to be able to wash it. Our final mattress pad is a high tech option that not only helps you sleep more comfortably but gives you better information about what’s going on with your sleep. It controls the temperature, both cooling and heating, plus a host of other metrics to give you better, more efficient rest. It includes 15 different trackers in the nightly metrics including both light and deep sleep, respiratory rate, and heart rate. You can track these metrics on both sides for you and your partner. Plus, dual zone temperature control helps both of you sleep more peacefully. You can schedule the temperature directly from your phone so that your bed is precisely how you like it from the moment you climb in. It syncs with your other smart home devices including things like Nest and Alexa. You can control and monitor your preferences and metrics from any smartphone. Everything fits together seamlessly to help you sleep better during the night. It’s not machine washable, and it may not feel quite as contouring as your memory foam mattress if that’s the type you sleep on. Make sure you stretch it entirely over your bed because it can accommodate up to a 16-inch mattress and could feel a little loose without tucking. It’s a more significant investment, but it could help keep your sleep on track through a complete home integration. Puffy gets our wholehearted recommendation for best mattress pad though we think any on the list have the potential to transform your sleep patterns for good. A good mattress pad can help smooth and improve the surface of your existing mattress while offering a barrier between you and the bed itself. This can help improve allergies, cool you down, or just create a more comfortable surface that enhances your sleep. Puffy’s pad is a wonderful all-purpose option for both comfort and some protection. The Saatva is another great all-purpose option, and if you get too hot in the night, the Lucid option can really help cool things down. Whatever your need is, there’s a pad that can help you get your issues solved and return you to a better night’s sleep. And if you’re an early adopter of all these cutting-edge smart home accessories, there are even high tech covers to give you complete control over your bedtime experience based on quantifiable metrics. What a time to be alive. We recommend balancing your budget with what works for you. A better-made pad will last a while and give you enough functionality that you might save money in the long run once you finally get your sleep back on track.